We must have mentioned multiple times already that adware programs travel in packs. Thus, sometimes such applications like Faster Web are not your main security concern. They are just side effects of having installed some major adware program. However, you cannot just ignore them, can you? Especially when they constantly open random websites whenever you click commercial links, thus slowing down your browser and exposing you to potential cyber threats. Therefore, you should not hesitate any longer. Remove Faster Web from your computer right now, and then look for other potential threats that must have entered your system along with this adware program. According to our research, Faster Web enters target systems with a number of adware and potentially unwanted programs. For example, we have seen it being installed with Coupoon, Hyper Browser, OverLook Crawler, and many other undesirable applications. They usually come in the Amonetize bundles, so it would be possible to install Faster Web with the Multiplug adware as well. Either way, this only proves that potentially unwanted applications that get distributed via third-party sources seldom travel alone. Consequently, if you get down to removing Faster Web, you will also have to delete all the other unwanted applications. Fortunately, Faster Web is nothing like a Trojan infection or any other stealthy computer threat. This program does not try to hide its presence from you. Once the application is installed on your computer, it will spam you with commercial content. This adware program embeds commercial links into associated websites, and, if you happen to click those links, you can be redirected to a third-party website. Our tests show that Faster Web usually opens the getideals.com web page in the background, and, at first glance, you may think that this site can help you save money when you shop online. However, you should NEVER trust an adware application when it comes to your financial stability. Adware programs are created having only one purpose in mind. They need to generate money for their developers, and for that they rely on third-party content and third-party advertising networks. This kind of behavior is nothing illegal, but you may not want to open any of the Faster Web links because adware programs clearly DO NOT review them. The simplicity of an adware application is that it can generate financial profit for its creators via the pay-per-click system, but, at the same time, the application may also be exploited by almost anyone. Thus, if cyber criminals decide to make use of Faster Web to promote their corrupted content, how would you know that the link you are about to click is malicious or not? There is no guarantee in that, so to protect your PC from potential infection, you have to remove Faster Web right away. 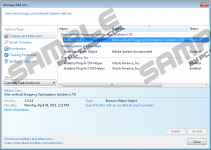 This application comes with an entry in the list of installed programs, so you can delete it via Control Panel. Once again, we would like you to pay attention to the fact that there are a lot more unwanted programs on-board, and you have to get rid of them all. The fastest method to terminate all the computer threats is automatic spyware removal. You can do that with a powerful computer security tool. In such a case, you would hit two birds with one stone because the computer security tool would also protect your PC from harm in the future. Right-click the Windows icon and go to Control Panel. Open Uninstall a program and remove Faster Web. Drag the mouse cursor to the bottom right corner of your desktop. Select Uninstall a program and remove Faster Web. Click Uninstall a program and remove Faster Web. 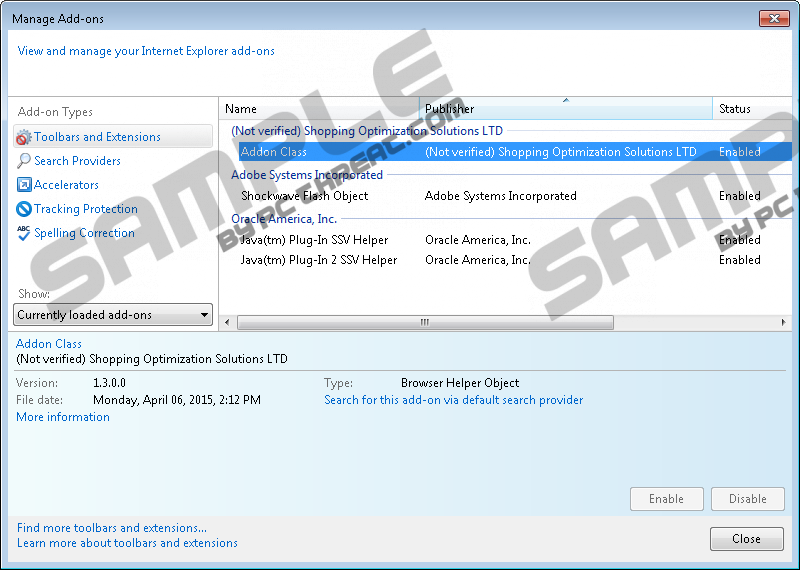 Double-click Add or remove programs and uninstall Faster Web. Quick & tested solution for Faster Web removal.